We are the leading manufacturers of "French Terrain" brand of camouflage printed fabrics, camouflage fabrics, on high speed airjet, rapier, sulzer looms and water jet looms, using the best quality long fibre yarn meeting the best standards. 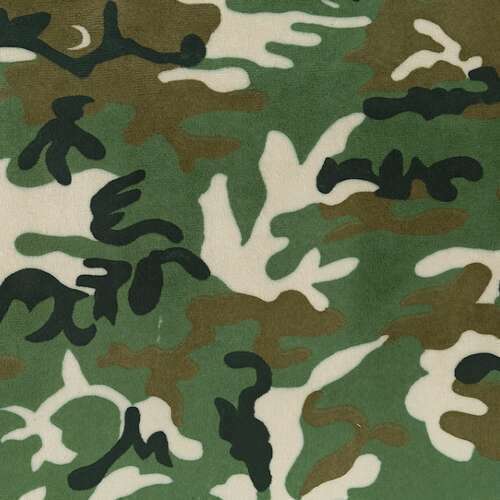 We manufacture the"French Terrain" brand of Camouflage fabrics, in cotton, polyester cotton, terry cotton, polyester, nylon, cotton lycra, in both woven and knitted fabrics. The "French Terrain" brand of camouflage fabrics, comes in pigment print, reactive print disperse print.The "French Terrain" brand of camouflage fabrics, are made in different buyer specific finishes like hydrophilic, hydrophobic, oil repellent, water repellent ,stain resistant, fire retardant, flame retardant, chemical resistant, chemical repellent, silicon soft finish, etc. The "French Terrain" brand of camouflage fabrics, comes in wide range of colour shades and more than 1000 print combinations as per buyer specific requirement, which is printed on hi-tech Stormac Rotary Printing Machines. The "French Terrain" brand of camouflage fabrics, have distinctive features of high durability, high tensile strength, high tear strength, good colour fastness, skin freindly, shrinkage control, pilling resistant, comfort wear, etc.